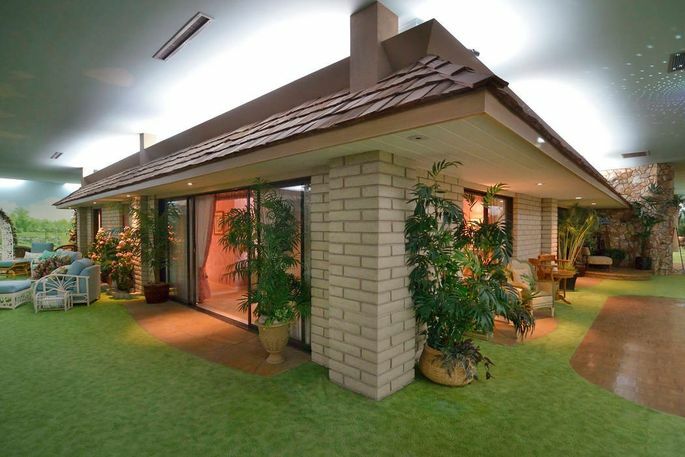 I usually focus on homes in the Hollywood area, but this underground house in Las Vegas is so bizarre I just had to share it with you. 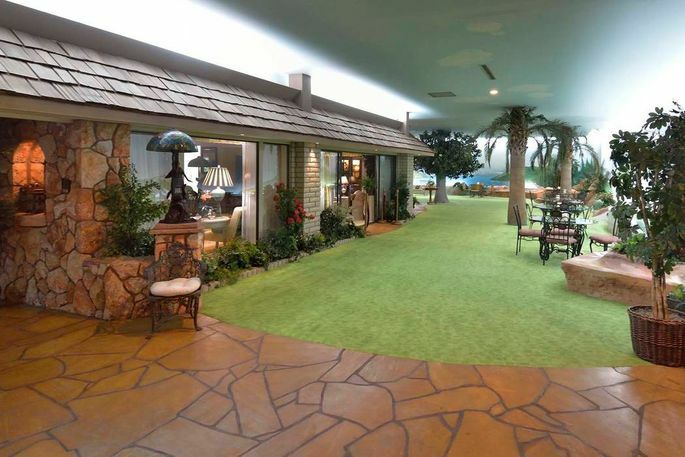 This underground house in Las Vegas will blew my mind. It isn’t built to sustain a nuclear attack, but it is built 26 feet below the surface. And the subterranean structure is designed to make residents feel as if they’re in a normal home with a yard, grass, swimming pool, trees, and murals painted to look like landscaping and the horizon. 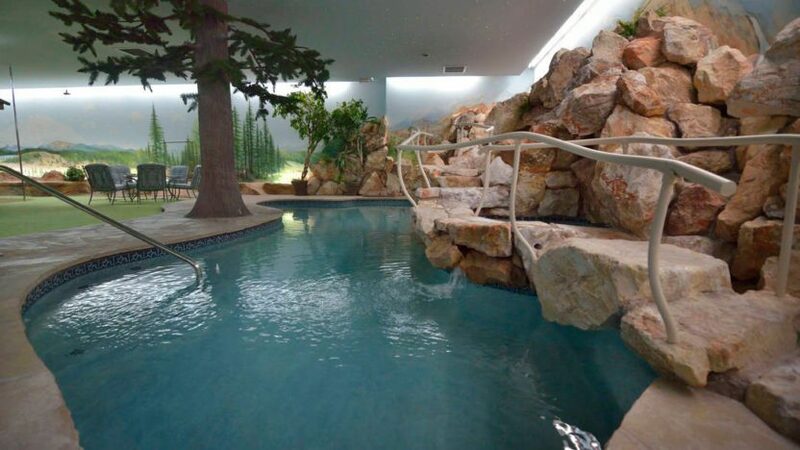 The underground house comes with an equally mind-blowing price: $18 million. The price seems a bit aggressive, considering that the property last changed hands in 2015 for $1,150,000. Did the current owners remodel it? Did they add secret spy gear? Or is the price simply a typo? 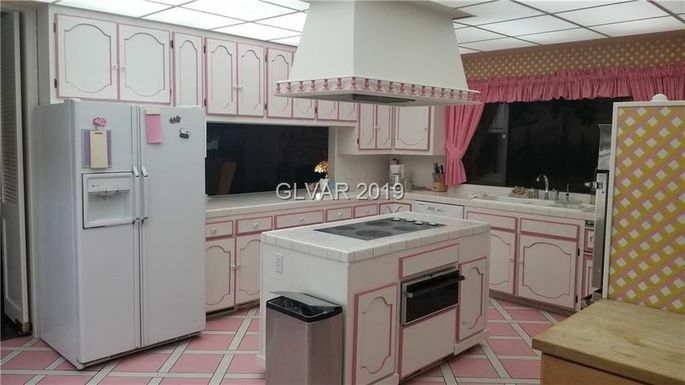 It’s nothing of the sort, according to listing agent Stephan LaForgeof BHHS Nevada Properties. “The price reflects the price to rebuild,” he explains. If an enterprising builder wanted to replicate this one-of-a-kind property in 2019, it would be nearly impossible. LaForge says it would cost at least $18 million to dig a third-of-an-acre hole and reinforce it with a half-mile of solid-steel I-beams. 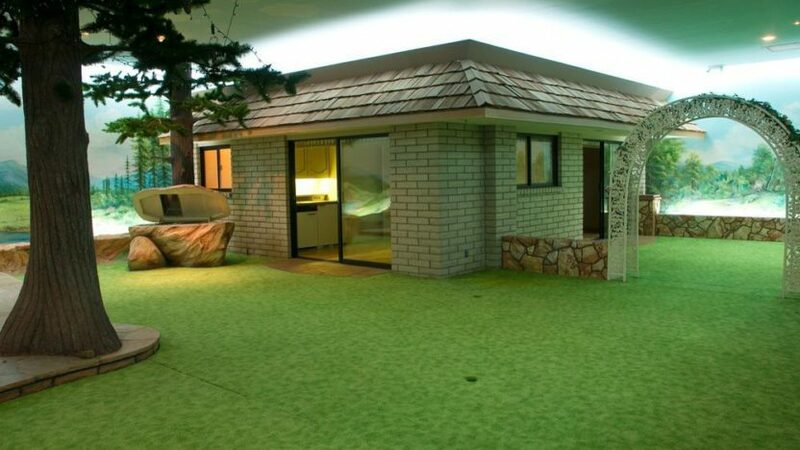 Then you must factor in all the other features and amenities the bunker contains. The property’s current owners paid cash for the acre lot and the underground house beneath a little over four years ago. 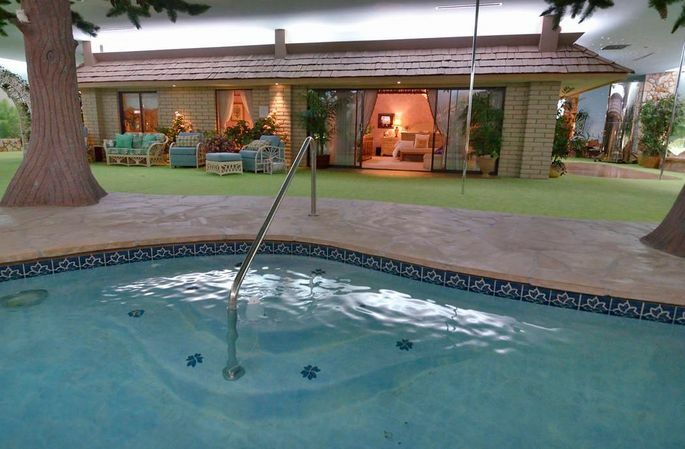 It has a five-bedroom, six-bathroom house (with pool!) underground, and a small townhouse above ground. They’ve added some essentials, including repeaters that allow cellphone reception, cable, and internet below ground. They also replaced all eight air-conditioning units (you need to have plenty of fresh air down there!) and added a 1,000-gallon water tank, among other infrastructure improvements. Still, this underground house isn’t a propper prepper paradise—if the outdoor air is contaminated, the air below ground will be as well. And there isn’t much in this world strong enough to protect you from a nuclear bomb, should one land in your vicinity. Although it isn’t completely disaster-proof, what the property does offer is more than 15,000 square feet of underground space. 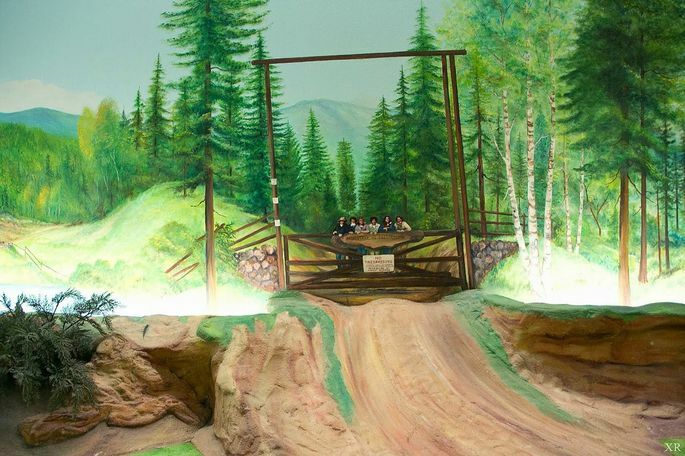 The space is dotted with artificial trees, faux rocks, and hand-painted murals of lifelike scenery. The lights below ground can be adjusted to reflect the sunlight at different times of the day, and there are twinkling stars on the ceiling to approximate the night sky. 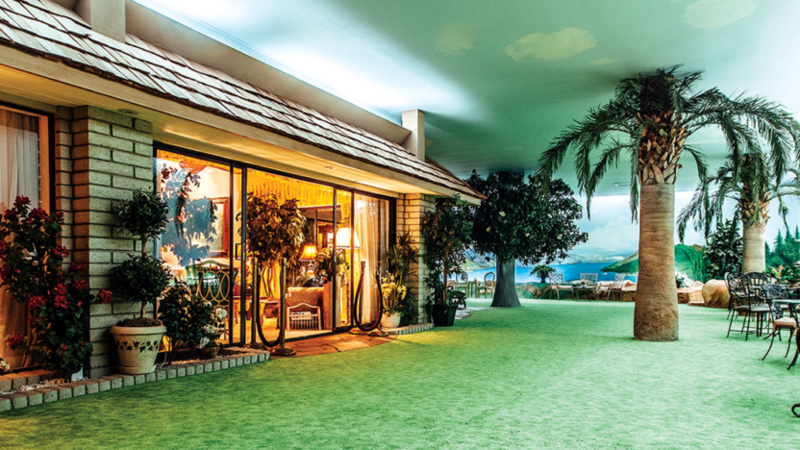 For fun, there’s a four-hole putting green, two hot tubs, a sauna, an “outdoor” dance floor, bar, barbecue (should you be bold enough to use it), and the aforementioned swimming pool. 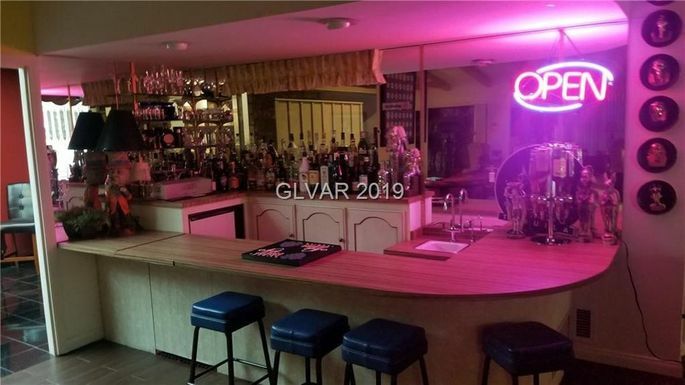 The main residence has two bedrooms and three bathrooms, and just about everything a typical ’70s-era house would have, including a built-in bar and a pink-accented kitchen. You don’t need a garage underground, but there is an additional casita for guests. There’s plenty of room to park on the surface, and the underground house is then reached by elevator or stairs. So who’s responsible for this fascinating property? 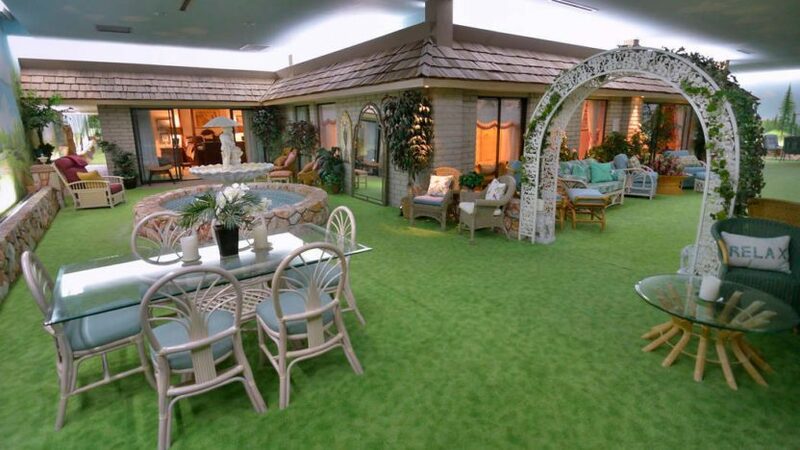 Jerry Henderson, a businessman and philanthropist who was a director of Avon Products, built it in 1979, and since then the period decor of the underground house has been well-preserved. Henderson was a noted underground living enthusiast, and sponsored an Underground Home exhibit at the New York World’s Fair. 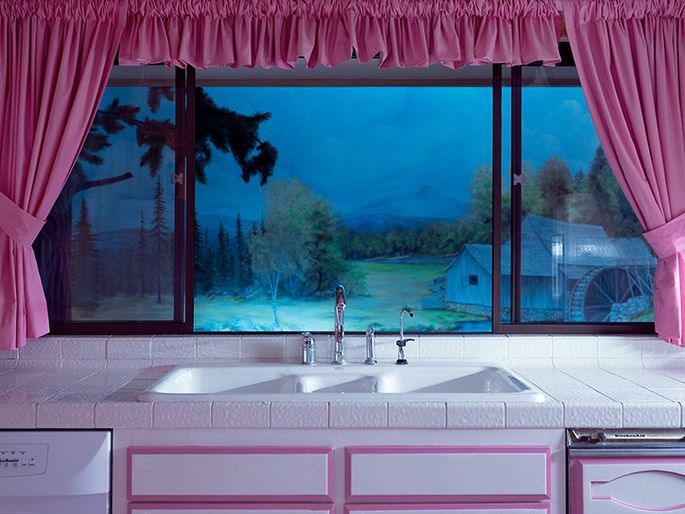 When Henderson died in 1983, his wife no longer desired the subterranean life. She had a townhouse built on the property’s surface, where she lived until she died in 1989. The underground house changed hands a time or two and eventually wound up in foreclosure. Along came the Society for the Preservation of Near Extinct Species, a secretive group with the goal of promoting human life extension. An underground bunker seemed like a perfect fit for the group. Society President Mark Voelker, who lives above ground in the townhouse, told LaForge the property has become quite the tourist attraction. 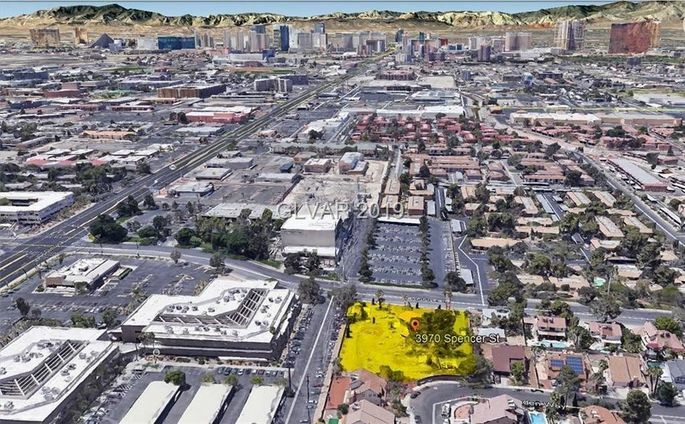 The property’s website, UndergroundHouse.Vegas, also helps to whip up interest. 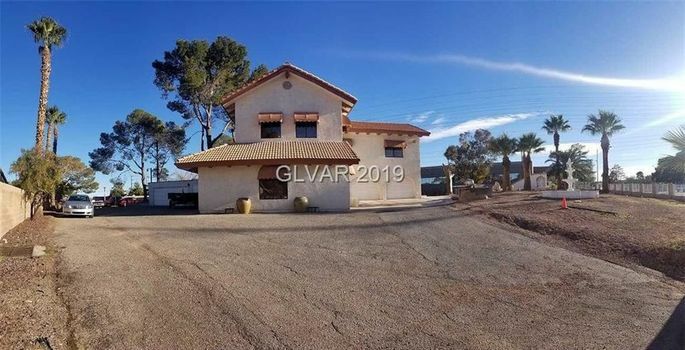 So if the property won’t protect against a full-on attack on Vegas, what will a new owner do with the underground house? LaForge has some ideas. He suggests a new owner could iron out zoning issues, build a parking lot on top, and then use it for a special events location. And although Las Vegas is full of attractions, this one, located only about 2.5 miles from the Strip, would certainly be unique. We’ve never seen anything like it! 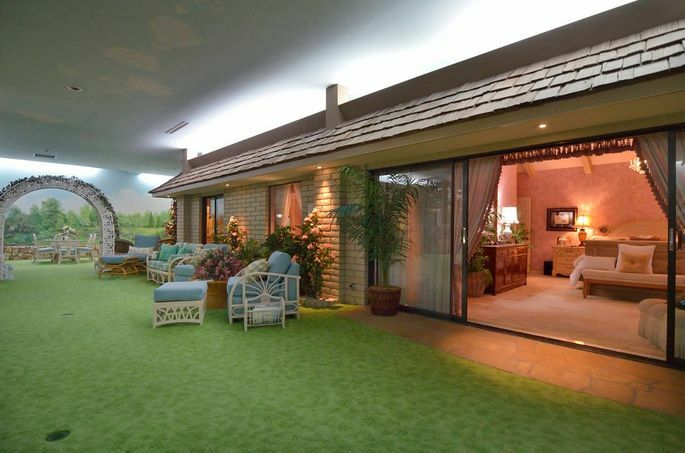 See more photos and get more info on the Las Vegas Underground house in my feature on Realtor.com. ← Billionaire Mansion on Sale at 20% Off — Now Only $150 Million!